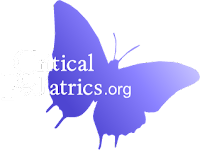 ]Progress in neonatal intensive care in recent years has led to an increased survival of extremely low birth weight (ELBW) infants weighing ≥1000 g at birth and, subsequently, to an increasing incidence of ROP. The incidence is increasing in developing countries like India in view of the rising numbers of preterm deliveries and improved neonatal care. Traditional modalities of treatment included cryotherapy and laser therapy, which were laborious and required special training. Hence, research is on way to find novel treatment modalities directed at various levels of pathogenesis for this blinding disease. Vascular endothelial growth factor A (VEGF-A) is a known promoter of angiogenesis and is upregulated by hypoxia. the role of vascular endothelial growth factor (VEGF) in neovascularization and vascular permeability of ROP is established. Hence, therapy for ROP is directed at treating the underlying pathogenesis by decreasing VEGF levels, either by completely ablating the peripheral avascular retina that produces the VEGF (LASER therapy) or by inactivating VEGF by binding it after its production (antiVEGF therapy). Bevacizumab, a humanized recombinant antibody, that inhibits the biological activity of VEGF, has been widely used as a off-label treatment for ocular angiogenesis disorders, including age-related macular degeneration, proliferative diabetic retinopathy and neovascular glaucoma. It is a complete antibody rather than an antibody fragment like ranibizumab. Bevacizumab eliminates the angiogenic threat of ROP (The BEAT–ROP study), Bevacizumab, given to extremely immature infants by intravitreous injection as low dose monotherapy (0.625 mg in 0.025 mL of solution) or upto 0.75 mg, has not shown systemic or local toxicity. When IGF-I is persistently low, vessels cease to grow, maturing avascular retina becomes hypoxic and vascular endothelial growth factor accumulates in the vitreous. 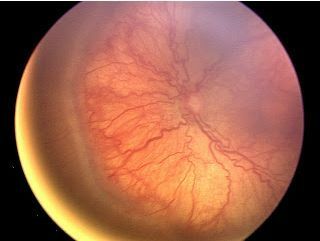 Data indicate that serum IGF-I levels in premature infants can predict which infants will develop retinopathy of prematurity and further suggests that early restoration of IGF-I in premature infants to normal levels could prevent this disease. The drug is under study and no studies to prove its efficacy have been published yet. Granulocyte colony-stimulating factor (GCSF), commonly used to increase leukocyte counts in neutropenic adults and children might also have a regulatory effect on vasculogenesis and thus prevent ROP. GCSF has been shown to increase levels of insulinlike growth factor-1(IGF-1), which supports the normal, measured, calm vascularisation of the retina. Filgrastim is a human granulocyte colony-stimulating factor (G-CSF)‚ produced by recombinant DNA technology. It’s potential role in the prevention of ROP is now being studied. As this drug is more easily available in India with costs ranging from 2500 – 3000 INR, this would be a beneficial adjunct to the treatment of ROP in a developing country like ours. The Jun kinases (JNK) belong to the mitogen-activated protein kinase (MAPK) familyJNK1 is a critical factor in hypoxia induced retinal VEGF production and that it promotes hypoxia induced pathological angiogenesis. Intravitreal injection of a specific JNK inhibitor decreases retinal VEGF expression and reduces pathological retinal neovascularization without obvious side effects. D-JNKi the specific JNK-1 inhibitor is the drug that is under study for the prevention of ROP.